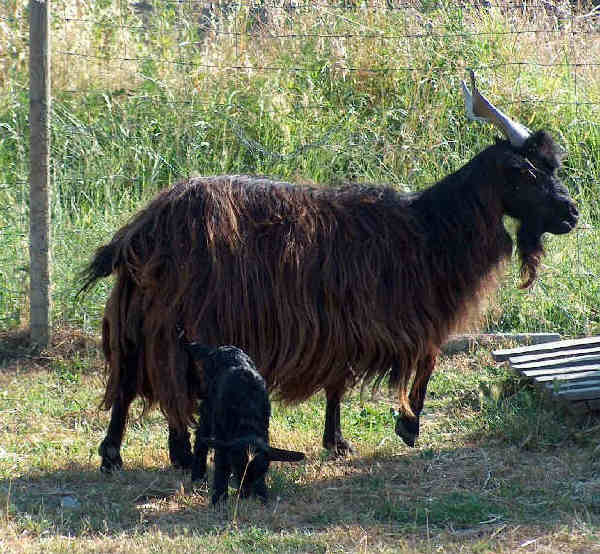 An autochthonous Italian breed from Gargano promontory (Province of Foggia – Apulia) as a result of a crossbreeding with west European goats. It is reared in the province of Foggia and in other regions in the South of Italy (Basilicata, Campania, Calabria). Black shiny coat that may have some reddish shades. Long hair all over the body and black skin. Both sexes have horns.